In Alabama Run Off Election! By William J. Murray, GING-PAC chairman. Social conservatives should be pleased with the results of Tuesday’s special election in Alabama. Two outspoken Christians won the most votes for the Republican primary and will face each other in the run-off election on September 15th. 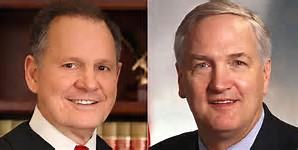 Senator Luther Strange, the incumbent appointed by the governor after Senator Jeff Sessions became U.S. Attorney General and former Alabama Supreme Court Justice Roy Moore won the most votes in the special election. The front runner is now former Alabama Supreme Court Justice Roy Moore, a strong committed Christian and a biblical scholar who was removed from his position because he refused to take down a monument of the Ten Commandments from the Alabama State Capitol. He was later re-elected, but removed again for upholding the sanctity of marriage as a union of one man and one woman. Moore is a West Point graduate and served as the company commander of a military police unit in Vietnam. Sen. Strange is the former Alabama Attorney General who has a long history of supporting religious liberty in his state. He was picked by the former Alabama governor to replace Jeff Sessions. He is currently co-chairman of the Senate Values Action Team and is a champion of pro-life and pro-family causes in the Senate. He has a conservative voting record including his vote to confirm Neil Gorsuch to the Supreme Court. He is also a part of the Congressional Prayer Caucus and meets regularly for prayer with other Christians in the Senate and the House of Representatives. I have not only met, but I have prayed with both men at meetings here in Washington, DC. I spoke with Judge more for some time several years ago and can attest that he is a brilliant man with a near photographic memory. I have also spoken to and been at meetings and in prayer with Senator Strange. Since his arrival in Washington he has stayed at the side of pro-life and pro-family groups such as the Religious Freedom Coalition. As Christians and social conservatives, both fine men are committed to upholding faith and family in the U.S. Senate. Because both men are committed Christians who are proven to be pro-life and pro-family GING-PAC will not endorse either in the runoff, however GING-PAC stand by the winner of the September 15th run-off to beat the liberal Democrat Doug Jones who has never held an elected office and has no experience. The final vote will be held on December 12th. “I’m incredibly grieved by the violence and hate that took place in Virginia last weekend. The supremacy of any race over another is not only immoral, it’s contradictory to our Declaration of Independence, Constitution and the fundamental idea of America. We fought and defeated the type of Nazism on display in Charlottesville; we cannot and must not ignore the white supremacy, Ku Klux Klan ideology, alt-right nationalism, hatred, and dissension that still lives in our culture today. As a nation, we must recommit to build respectful unity together and honor the human dignity of all people. 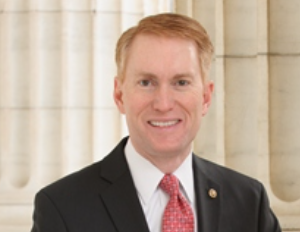 Racial reconciliation has been a priority for Senator Lankford. In March, Lankford discussed his Solution Sundays initiative and thoughts on race in America for a CNN special report. In July 2016, Lankford spoke on the Senate floor and wrote an op-ed about race-relations in America. In May 2016, he delivered a speech on the Senate floor to recognize the North Tulsa Race Riot’s 95th anniversary. In February, he launched the 1921 Tulsa Race Riot Centennial Commission with State Senator Kevin Matthews, Tulsa Mayor G.T. Bynum, Oklahoma Historical Society Director Dr. Bob Blackburn, and others. 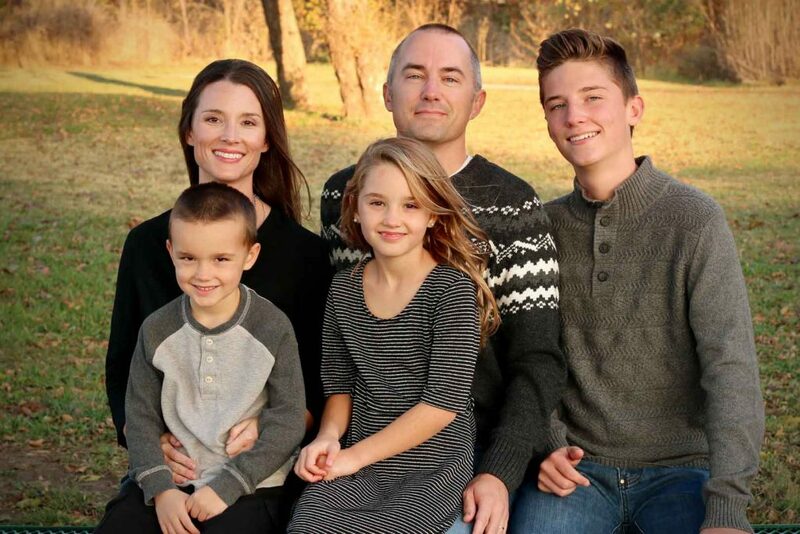 Andy Coleman, a former official with Voice Of The Martyrs, a Christian outreach to suffering Christians around the globe, is running for Congress in the 1st Congressional District in Oklahoma, an area that represents Tulsa. Coleman is a graduate of the U.S. Air Force Academy. Coleman is also a lawyer and worked for the Alliance Defense Fund to protect religious liberties. He later began work for Voice of the Martyrs and traveled the world helping persecuted Christians. Coleman is running for the seat to be vacated by Congressman Jim Bridenstine. He has chosen not to run for re-election in 2018. There is no mention yet in the media about who Coleman’s Democrat challenger will be. Learn more about Coleman on his website: AndyColeman.org. GING-PAC endorsed Congressman Trent Franks (R-AZ) has been one of the few legislators in the House or Senate who has had the courage to call for Special Counsel Robert Mueller to do the honorable thing and resign from the investigation of alleged Russian/Trump collusion in the 2016 election cycle. Bob Mueller is in clear violation of federal code and must resign to maintain the integrity of the investigation into alleged Russian ties. Those who worked under them have attested he and Jim Comey possess a close friendship, and they have delivered on-the-record statements effusing praise of one another. No one knows Mr. Mueller’s true intentions, but neither can anyone dispute that he now clearly appears to be a partisan arbiter of justice. Accordingly, the law is also explicitly clear: he must step down based on this conflict of interest. Until Mueller resigns, he will be in clear violation of the law, a reality that fundamentally undermines his role as Special Counsel and attending ability to execute the law. Robert Mueller, of course, has chosen to ignore this call to honor and continues his witch hunt against President Trump and his associates in the administration. This non-scandal was clearly engineered by Hillary Clinton, former FBI Director James Comey and other members of the Deep State who are doing everything they can to nullify President Trump’s victory in November 2016 – and to nullify the will of the American people who chose Trump over 17 other candidates. More information is emerging weekly that clearly shows that the Russians did not “hack” the Democratic National Committee to give confidential emails to WikiLeaks. The “hack” was actually a leak from someone inside the DNC. After 11 months of investigations, no one has found any evidence that Russian agents worked with Trump officials to assure his victory. Congressman Franks understands what is at stake in this battle between the permanent bureaucracy and the American people. We, the People, are to be in charge of the federal government. The bureaucrats are to be our servants, doing our will – not ruling over us like oligarchs some decadent European nation. When they fail to do their jobs, they must be fired and replaced with men and women who understand their constitutional roles within the federal government. 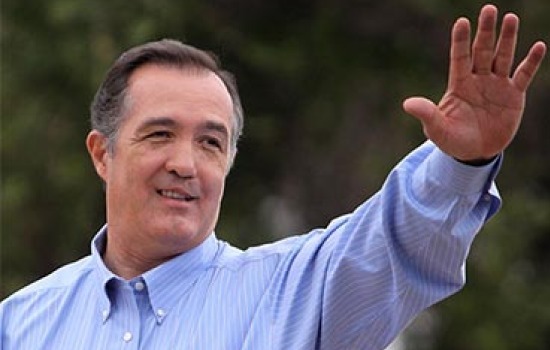 Congressman Trent Franks is one of the finest and most honorable men in the House or Senate – and we need many more men and women like him in 2018 and 2020. 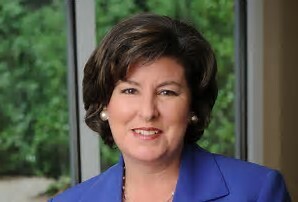 GING-PAC-endorsed Congressman Karen Handel, who represents the district formerly held by Tom Price, appeared before a Chamber of Commerce legislative meeting in mid-August to discuss her work in D.C. During her time with her constituents, she prayed about the recent leftist and neo-Nazi conflicts in Charlottesville, Virginia. Oh, Mighty God, we come before you this day — with our heads bowed and our hearts wide open — to humbly ask for Your blessings on this gathering, on our state and our nation. Each one of us here is a leader in our lives. We are ALL unique individuals with an array of responsibilities and opportunities – and a calling to make a difference. Yes, we sometimes have competing, differing opinions and perspectives. But, Lord, let us be united as Georgians — as Americans — as God’s children for a higher purpose in service to You. Lord, we ask that you hear our prayer … this prayer for healing and reconciliation — for coming together as one nation under God. Lend us Your hand to help us embrace that which unites us and reject the temptation to divide. Help us find the courage and the strength to speak up when silence may be more convenient … to engage with one another in a way that is pleasing to You … with respect, civility and kindness … so that we might live up to the great potential that You have for us, for our state and for this country. 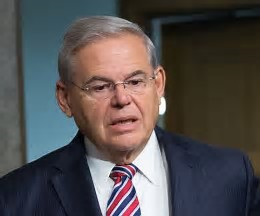 The GOP has the opportunity to pick up an extra vote in the Senate this year if Democrat Sen. Bob Menendez is convicted on corruption charges in New Jersey this fall. Even if convicted of bribery and not given a prison sentence, he could still stay in the Senate. He could voluntarily resign, which is unlikely, or be voted out by a two-thirds majority in the Senate. Fifteen Democrats and all Republicans would be needed to get rid of him.